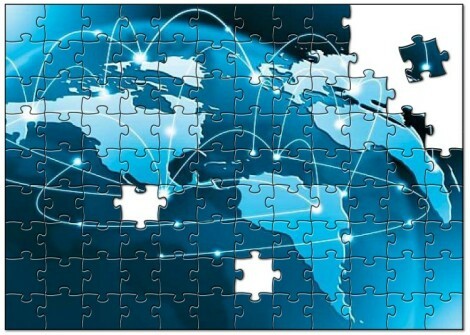 Home→Telecoms→A unified theory for the future of telecoms? forcing me to think again about quite how all the pieces in the telecoms sector fit together. So I have decided to focus this blog (for now) on that. Specifically, I want to look at how the techno-economic structure of the telecoms industry can help us to diagnose the difficulties the sector is enduring and find some ways forward towards sustainable growth. How should we think about telecoms? What metaphors are helpful? What is the value chain? What are the sources of competitive advantage at each layer? Should telcos vertically integrate or disintegrate? What is it that the telecoms industry sells? Are all products and services offered by telcos fundamentally the same, or do we need different approaches to different types of product? Are Over-The-Top players (OTTs) an opportunity or a threat? Is the broadband business model really broken, as is claimed? What will need to happen for the future of telecoms to be bright? I have plenty of views and ideas on these topics, but I am looking forward to being able to discuss, debate and refine them with other interested parties, such as you, dear reader! Please do join the conversation. Are you plugged in to the best analysts and sharpest thinking? I have compiled 40+ must-read telecoms analyst and news sources. Sign up to conveniently receive my blog posts via email and get a FREE copy! No spam. Interesting post as I am working on innovations to build the future of our Telco! The industry brightness of the late 90’s has too quickly turned into a uniform fear of becoming a “dumb pipe”, which is now what scares most if not all telecom operators. But there’s much more to it – and telcos have developed key competencies that are transferable to other industries. Our assets are much broader and deeper than mere data centers and cable systems. Feel free to reach out and meet up to share views and perspectives, and debate them! Thanks for the encouragement Alex! I agree that the “dumb pipe” is a big fear. I would say that telcos are still “too dumb” but fundamentally not a “pipe” at all. More on that later! I agree that telcos do have assets and skill sets that are applicable to other sectors, though they have often had difficulty in getting enough management focus to make it happen. Looking forward to continuing the conversation! I look forward to the insights and provocations Richard. Paul – thank you. Having people like you in the discussion will definitely sharpen up my thinking! These are clearly interesting questions raised by Richard on the future of telecoms. I look forward to read and share more insights. Looking at the competition between Telcos and Over-The-Top players, it is interesting to note that Telcos have an important advantage, which is the universality of their services: using voice or SMS services you can reach any other subscriber, anywhere in the world, i.e. 3.565 billion unique mobile subscribers. It’s hard to do the same with OTT services like Skype, Viber, Apple iMessages, Google Hangouts and the likes. However, in the past years, innovation in terms of new services has been mostly led by OTT players. A new standardised service has been developed, though, under the umbrella of the GSMA, to compete with these OTT services. Rich Communications is supposed to “bring you closer to the people in your mobile address book by combining all the ways you want to be in touch – talk, chat, share videos, photos and files”, using a standardised, universal service. However, six year after the first specifications were developed, RCS (or Joyn, its marketing name) has been launched only by a very small number of mobile operators in the world. Isn’t this a missed opportunity for Telcos to raise in the value chain? Alain, thanks for the comment and the discussion on RTC/Joyn. 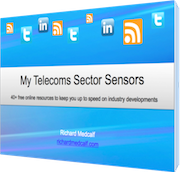 I will get to how telcos might want to think about the voice and personal communications market in a few blog posts time… I agree that telecom operators have assets here but they need to act fast before the network effect slips completely from their hands. Probably one of the difficulties telcos are facing is i) the general perception that all data networking is ‘the Internet’ and nothing else; ii) the fact that the Internet architecture and protocols mostly focuses on communicating endpoints (devices) following the ‘best effort’ dogma. Sign me up for email updates when new articles are published. No spam.